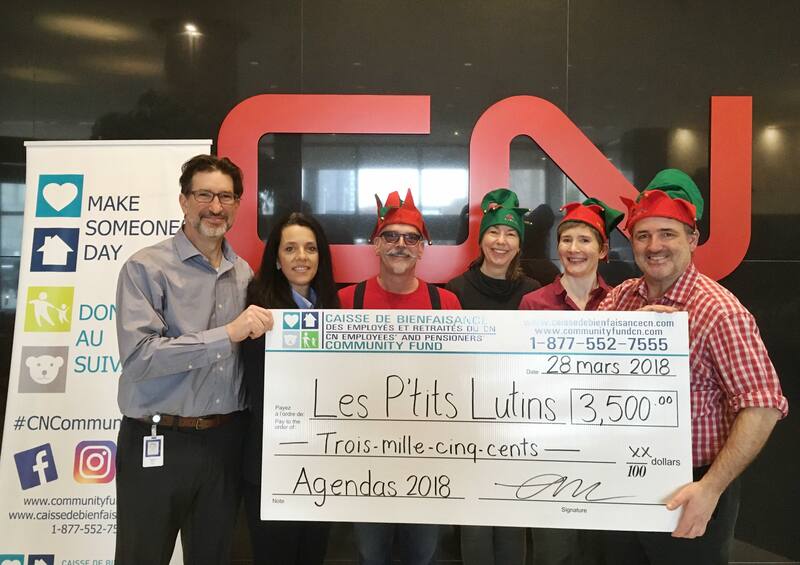 A great big THANK YOU to the CN Employees’ and Pensioners’ Community Fund which, last March, gave the Little Elves Foundation a generous donation of $3,500. We have received larger donations in the past, but this is for sure the largest cheque that we’ve ever been presented ;^). In all seriousness, this significant amount coming early in our 2018 campaign will be extremely helpful, allowing the shopping elves more opportunities to procure gifts. I am emailing to confirm that we received your gifts yesterday. I just want to take this moment to give you our sincerest thanks for providing all our residents with a little holiday cheer! We have our annual holiday dinner event planned for tonight so the gifts arrived just in time!